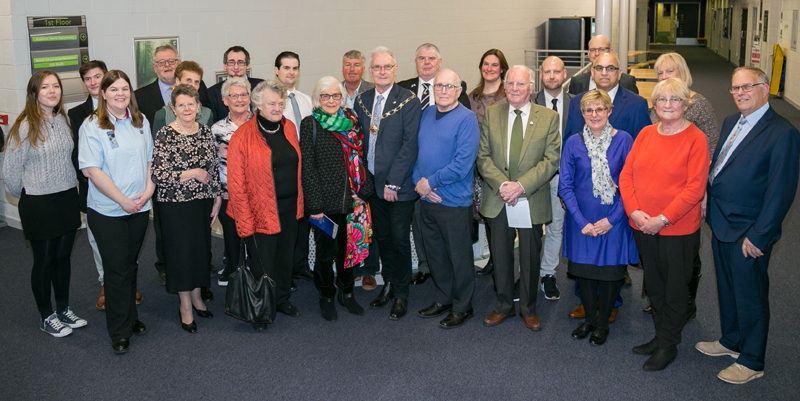 The chair’s community awards were established in 2003 to recognise and celebrate the valuable contribution local unpaid volunteers make to life in South Gloucestershire and have since become an annual event. The current Chair of the Council, Cllr Rachael Hunt, is asking you to nominate your community heroes – people who have made a difference to your community. There are a number of suggested areas of contribution such as community development, promoting equality, arts, sports, play, environment, working with vulnerable or young people, advice and advocacy and being a good neighbour. You can also nominate a community group, as well as individual nominations, just complete the appropriate application form (see under Downloads). Choose the appropriate form for an individual or a group. Complete and return the form either by email or post by Thursday 28 February. The chosen nominees will be notified in March and invited to a prestigious awards evening on 23 April to receive their awards. Please help us spread the message by promoting the awards in your neighbourhood by displaying the poster or by sharing it on Facebook or twitter.